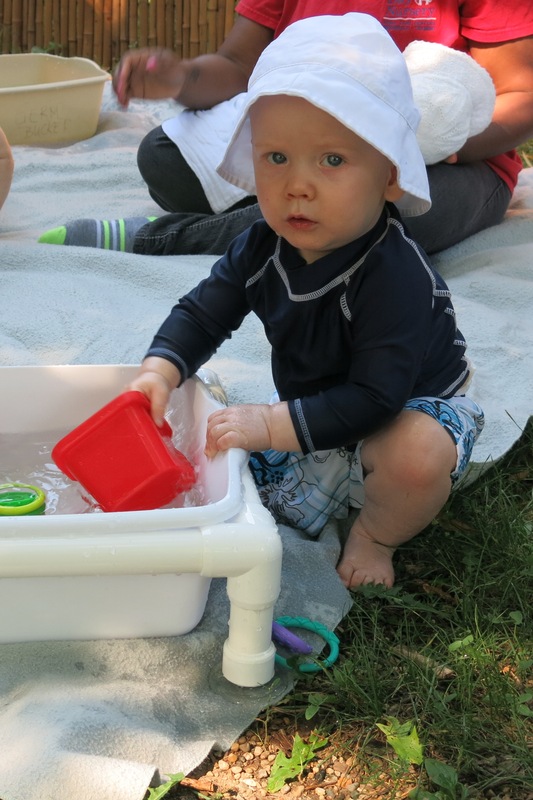 While today’s a bit cloudy, the children at the Day Nursery Ruth A. Lilly Center on Central Avenue have had many beautiful days this month to enjoy their newly remodeled playground. 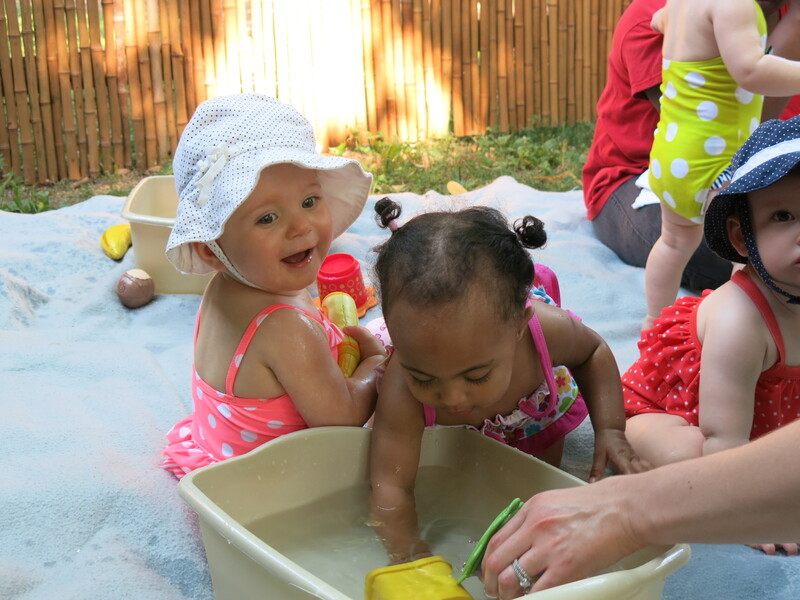 In their early years, children explore the world around them by using all their senses (touching, tasting, listening, smelling, and looking) and splash day offers many opportunities to explore and pretend. 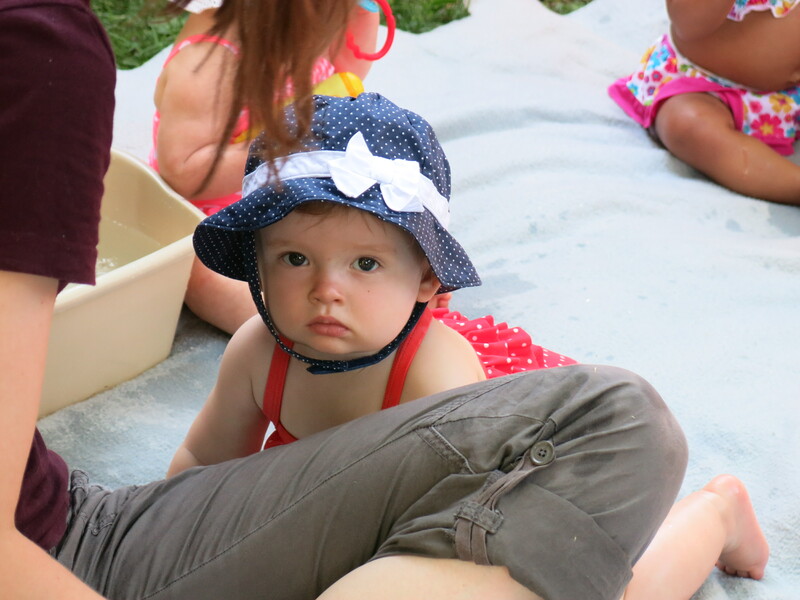 These “Too Cute Tuesday” pictures feature a recent playground splash day on the playground designed just for infants and toddlers. 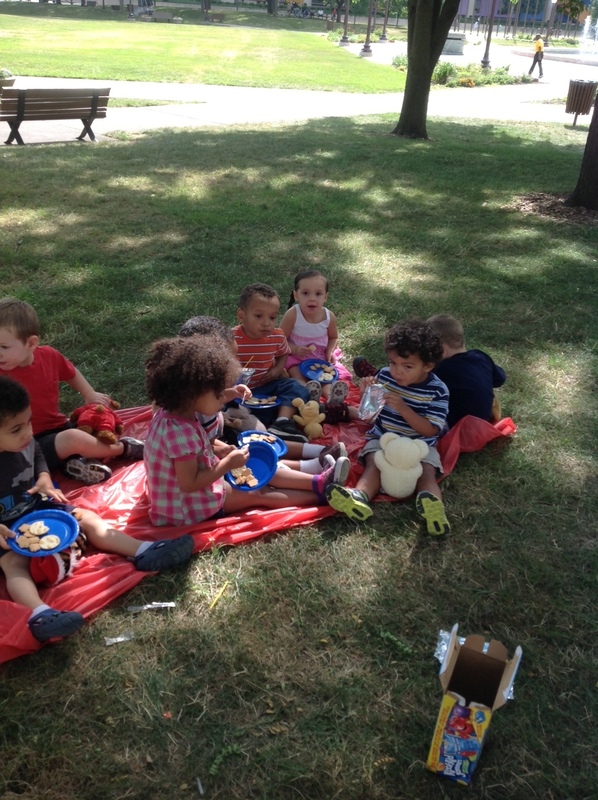 Ms. Kesha and Ms. Julia’s 2 ½ year old room from the Day Nursery Federal Center downtown went across to Veteran’s Park for a teddy bear picnic today. 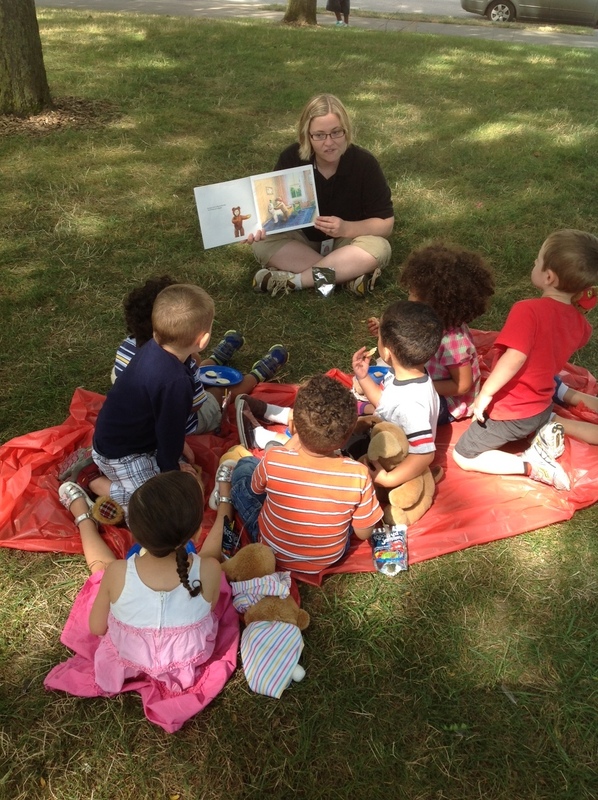 They had Teddy Grams snacks and juice with their teddy bears and read the book Teddy Bear Picnic while they were there. Indianapolis – The board of directors of Day Nursery Association of Indianapolis, Inc. is pleased to announce the appointment of Ted Maple, Ph.D. as the President and CEO. 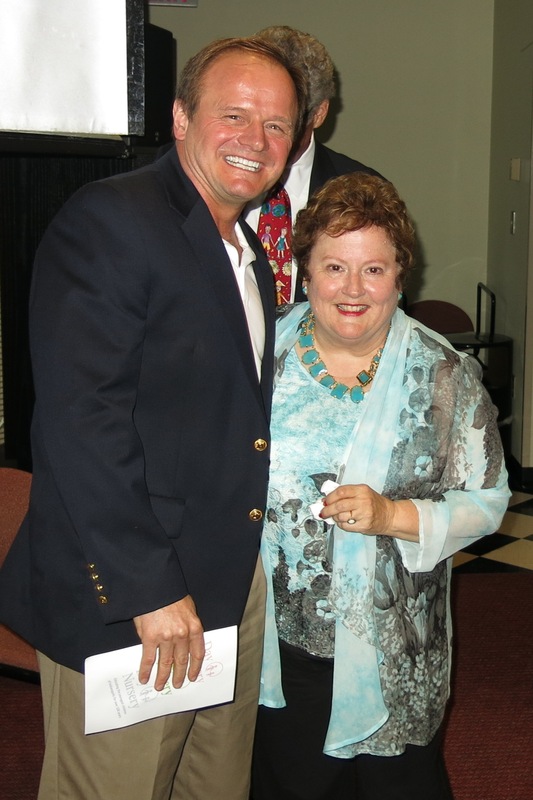 He will succeed Carolyn M. Dederer who will retire August 2 after 15 years with the organization. Maple comes to Day Nursery from United Way of Central Indiana where he led United Way’s education priority with a focus on early childhood and school-age initiatives. 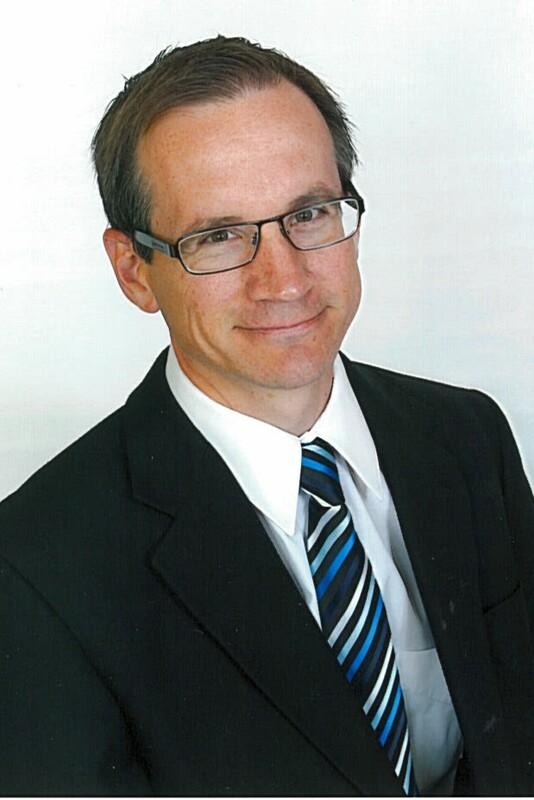 He earned his bachelor’s degree in Elementary Education from the University of Indianapolis, a master’s degree in Elementary Education from Butler University and his Ph.D., in, Early Childhood Education from Ball State University. 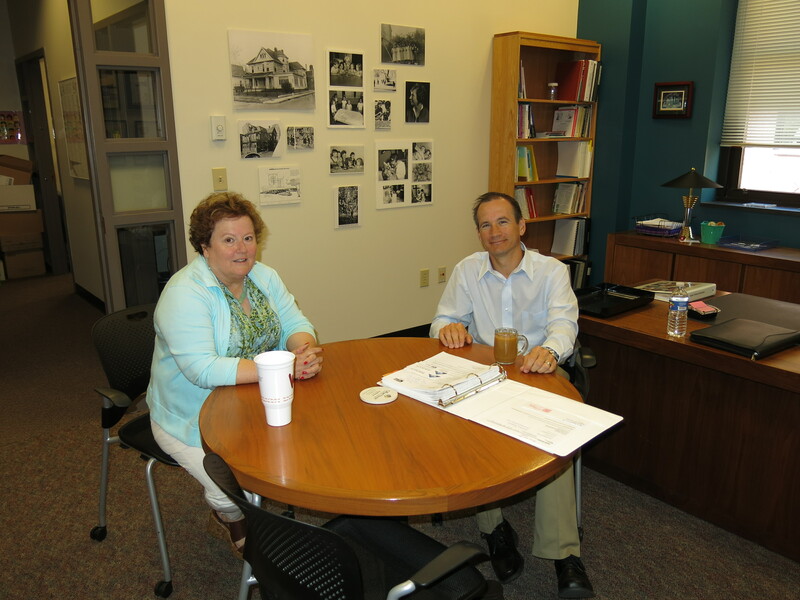 Carolyn Dederer welcomed Dr. Ted Maple to his new office at Day Nursery this morning. 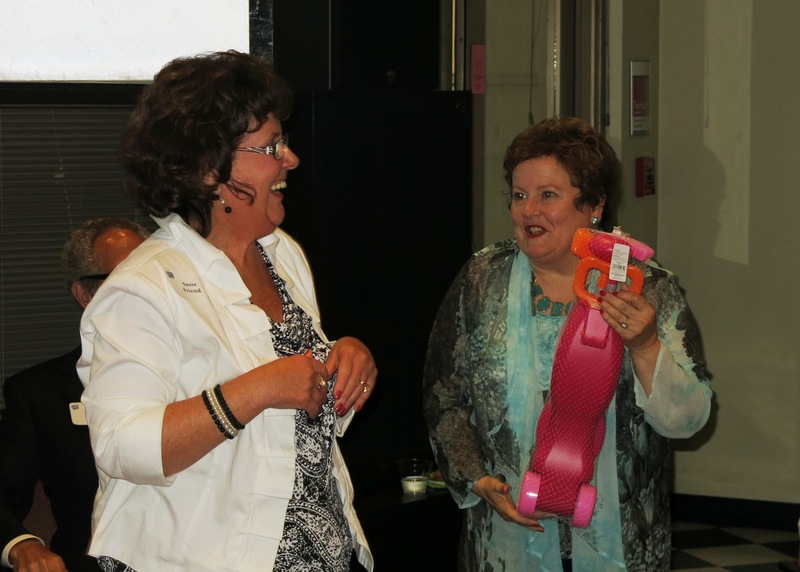 They will work together for three weeks until Carolyn officially retires on August 2. 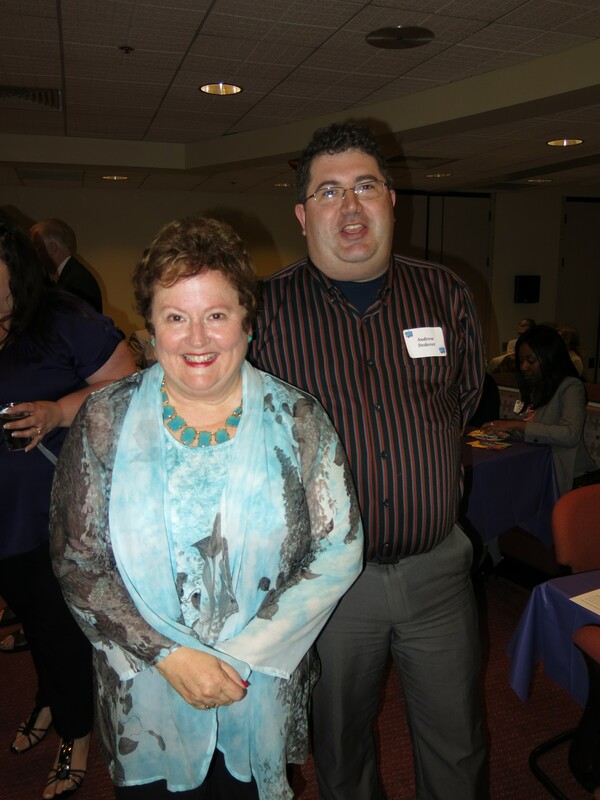 He began his career in education as a kindergarten and first grade teacher in Pike Township. Following his time in the public schools, he served as Director of the Early Childhood Program at St. Mary’s Child Center where he led the nationally-accredited early childhood program for 200 at-risk preschoolers at two locations in Indianapolis. In 2005, Maple’s career in early childhood took a different turn, when he was selected as United Way’s Director of Success By 6. In this role, over more than eight years, he crafted United Way’s early childhood agenda that included programs, policy advocacy and community engagement. In 2012, he was promoted to Director of Education to oversee United Way’s two education priorities: children entering school ready to learn, and performing on grade level by sixth grade. He lives with his wife and three children on the northeast side of Indianapolis. 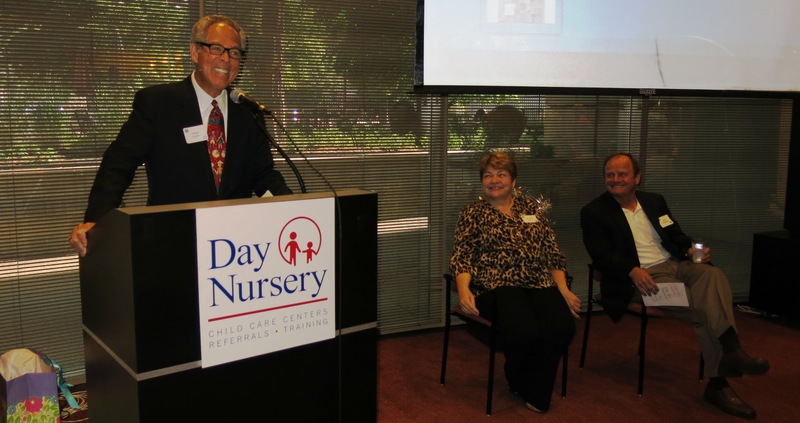 Day Nursery Association is the oldest and largest non-profit provider of early care and education in central Indiana. Founded in 1899, the agency has been educating the youngest children of Indianapolis for over 100 years. 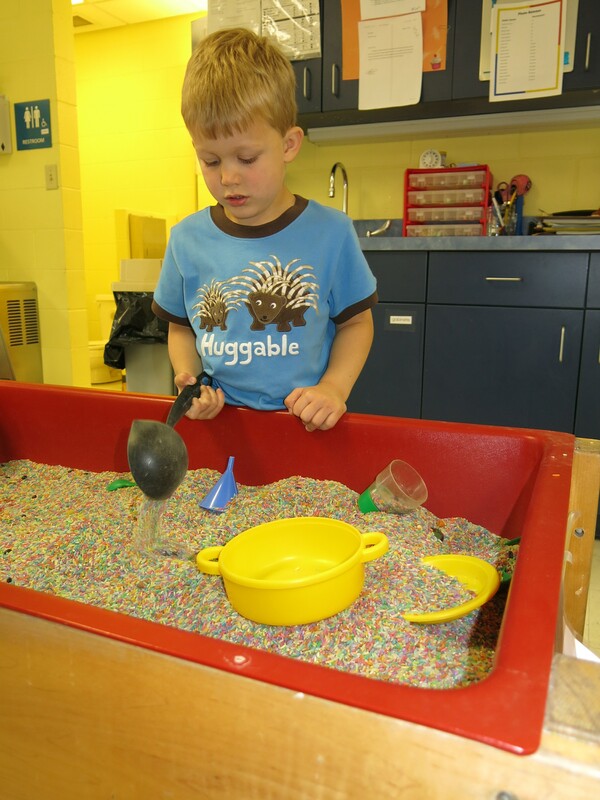 Serving more than 1,350 children annually ages six weeks to six years old in 7 locations in Marion and Hendricks County, Day Nursery believes that all children, regardless of a family’s income, should have access to the highest quality of care. 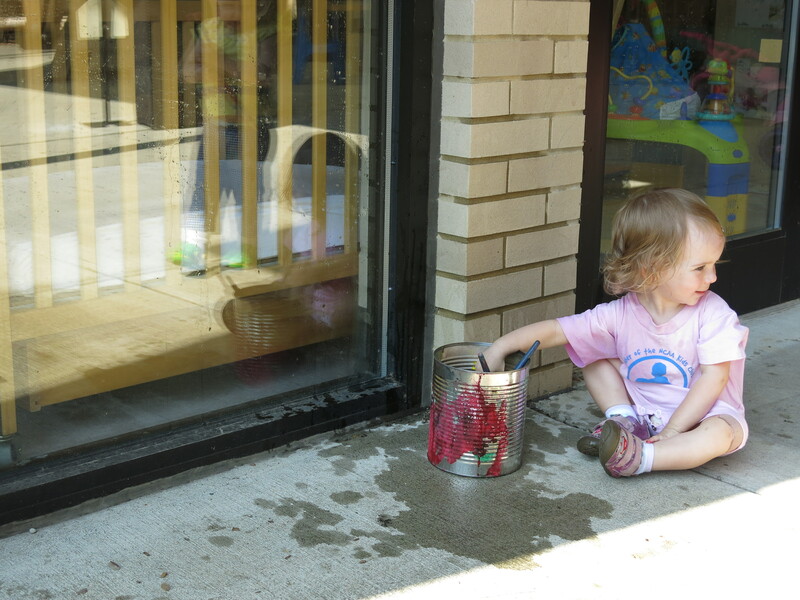 Day Nursery is a United Way agency. 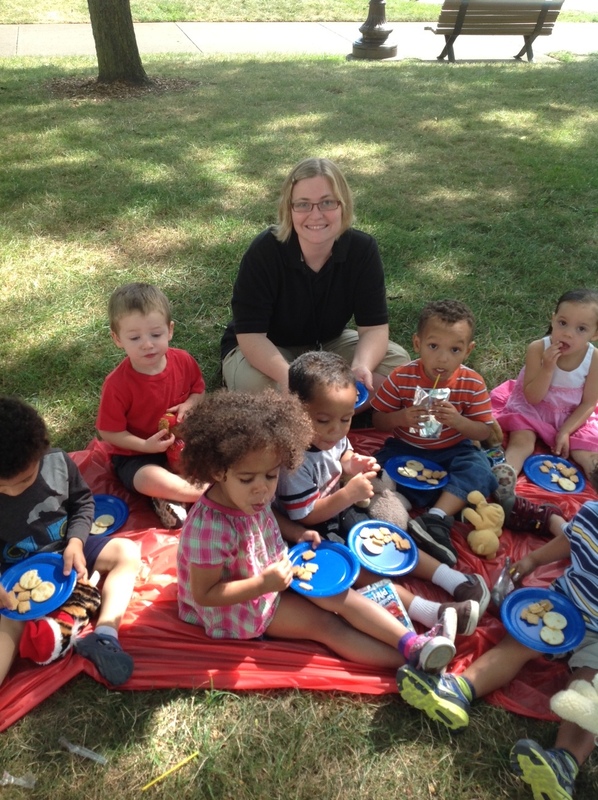 Since 1998, Carolyn Dederer has dynamically led the Day Nursery Association of Indianapolis. 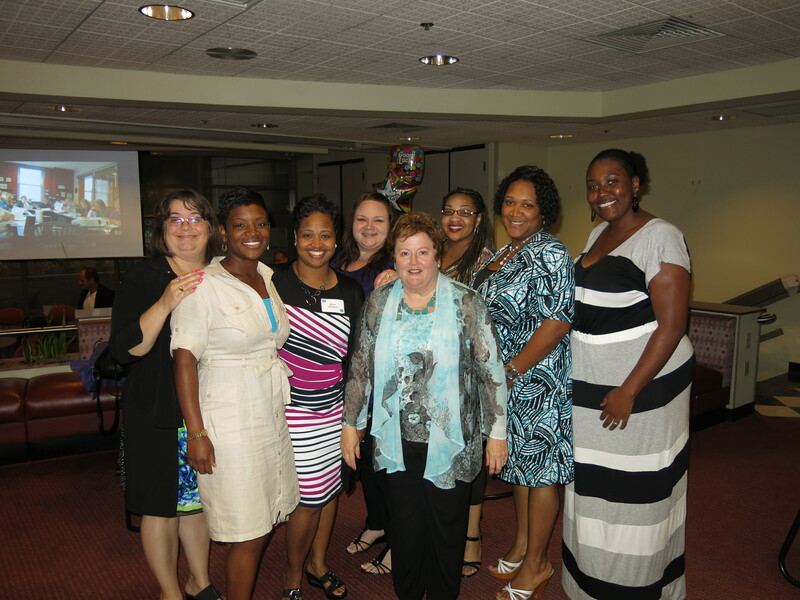 Carolyn will be retiring August 2, 2013 and we wish to thank her for leadership and service. Her untiring effort to grow Day Nursery and raise the bar for early childhood education in our community is truly commendable. 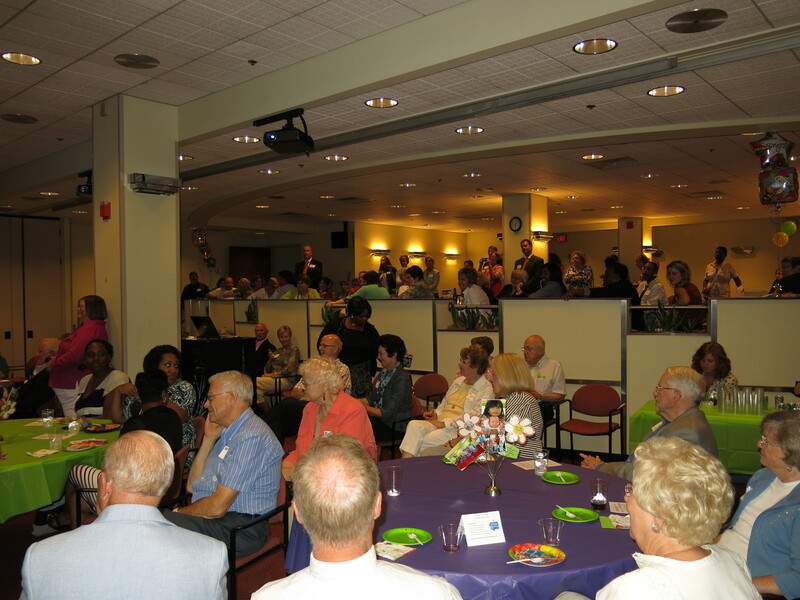 Last night we celebrated Carolyn’s service with a party. Here are a few pictures from the event. Carolyn sharing some thoughts with the guests. 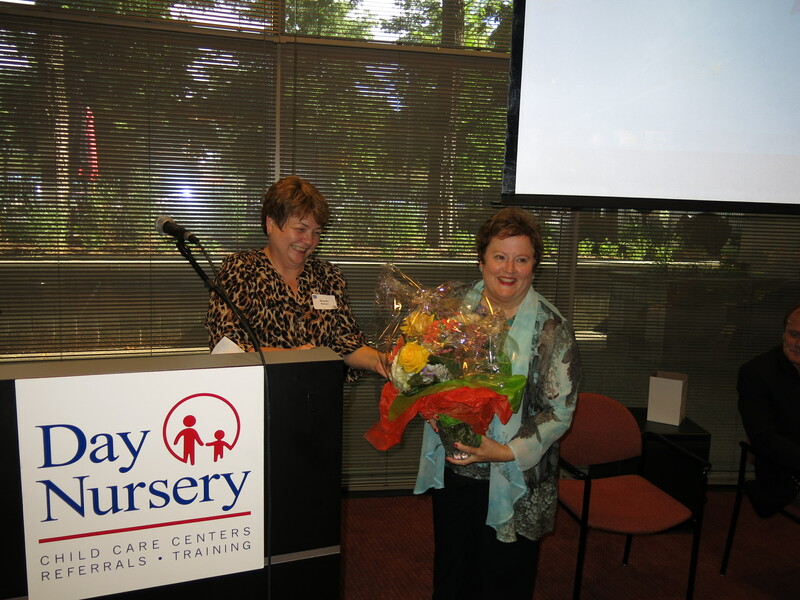 Wanda Kaiser, Day Nursery CFO thanked Carolyn on behalf of the staff. Long time board member Lloyd Lyons led off the evening’s tribute to Carolyn. 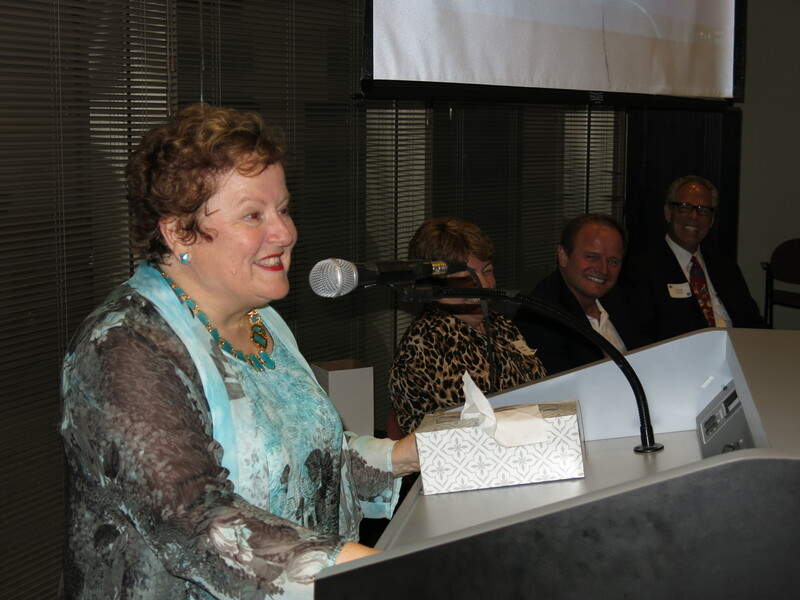 We know that her many gifts to Day Nursery and the Indianapolis community will continue to touch children’s lives for many years to come. 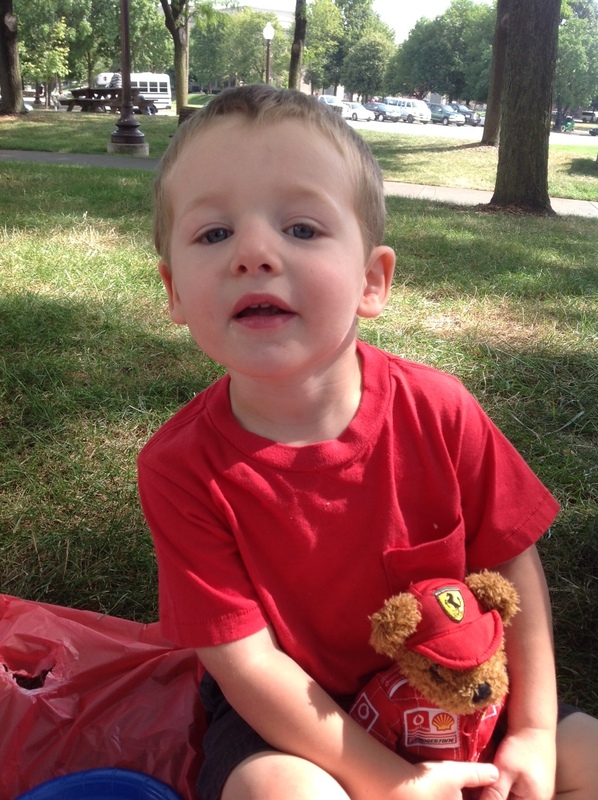 It’s Day Nursery parent survey time! 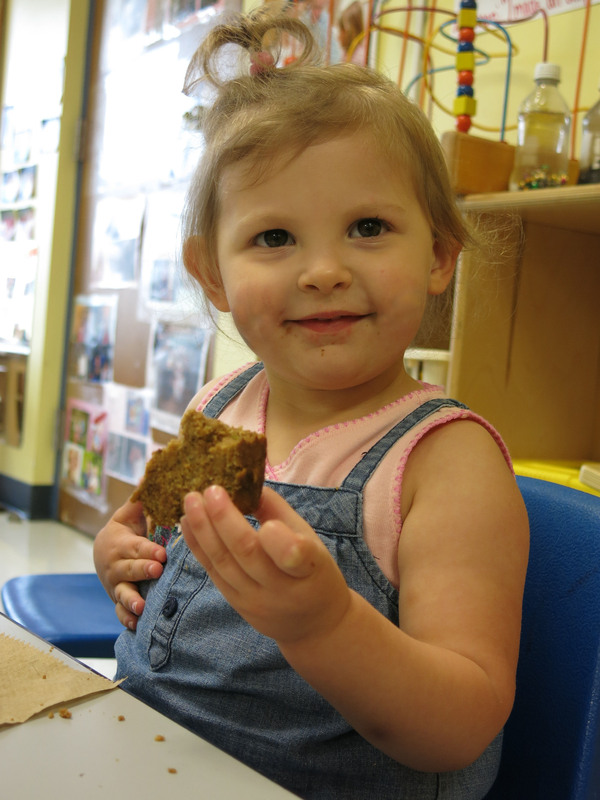 If you are a parent of a child who has attended one of our Day Nursery centers in Indianapolis or Avon in the last year, please take a few minutes to fill out our annual parent survey. Our deadline is this Friday, July 12. 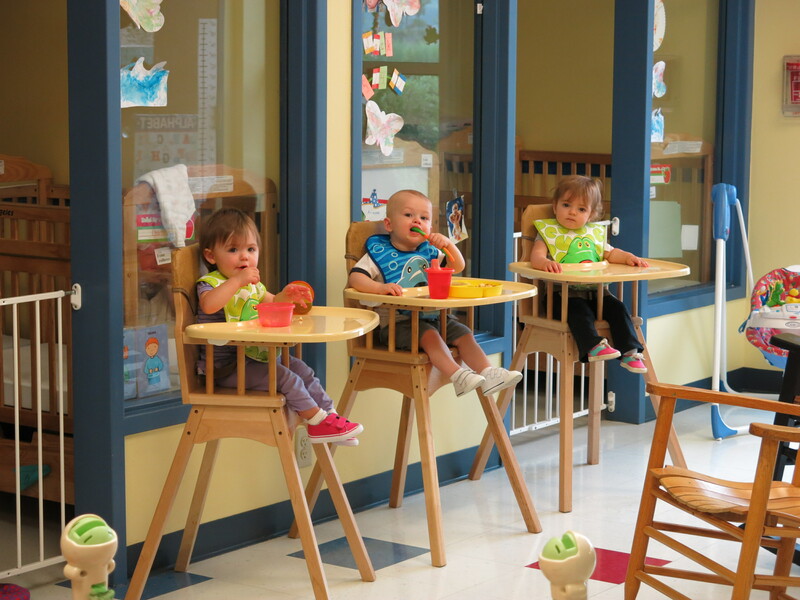 It is “Too Cute Tuesday!” Check out these adorable students we visited this morning at the Day Nursery Hendricks County Early Care and Education Center in Avon.